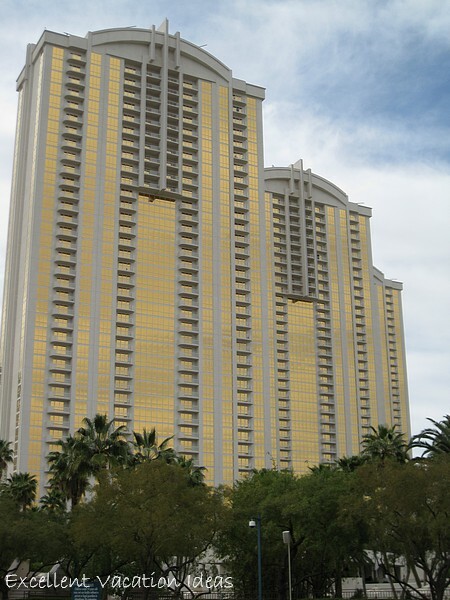 MGM Grand - Las Vegas is one of our favorite resort casino properties in Las Vegas. MGM Grand Hotel and Casino in Las Vegas. 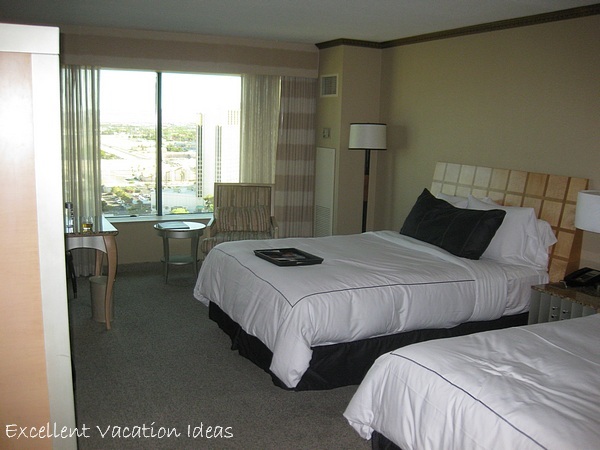 A great resort casino in Las Vegas for a romantic or a family vacation. To be honest for the longest time I wasn't a fan of the MGM property. I thought it was too big and I didn't really have any sort of affinity for the property. Warren asked me to try it out with him when we visited in February, 2009 and all that changed! It is now our favorite property to stay in for many reasons, many of which you will see below. The main reason that I like the MGM is the employees. They seemed to have created a great corporate culture within the MGM Grand. From check in to playing in the casino to the restaurants and pools, most everyone we came in contact with had a great smile and an great attitude of service. The MGM used to be the largest hotel on the strip (City Center took over when it opened in late 2009). On our last trip there, I never left the property. It is possible to have an amazing trip to Las Vegas and never leave this property! MGM has something for everyone. Great restaurants, great rooms, great casino, great poker room, great pools and spa, Wet Republic and of course the Lion Habitat and KA - Cirque de Soleil and other great entertainment. 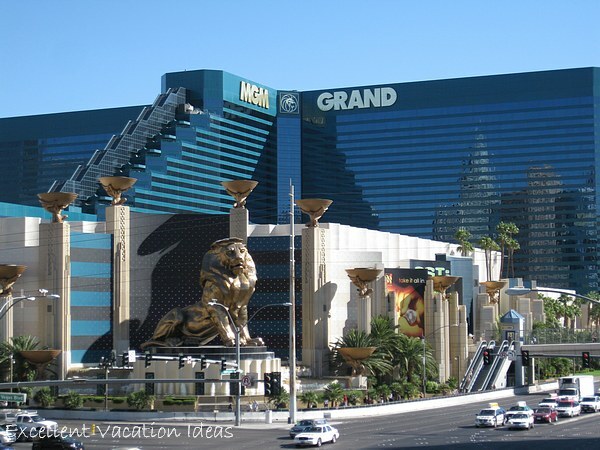 Whether you are looking for a family vacation or a romantic vacation, the MGM Grand is an excellent vacation idea! I was concerned that we would have a long walk to everywhere in the hotel and it would be hard to navigate, as it is such a large property. However, the design of the property is good. It didn't feel like a longer walk to anywhere in the hotel, other than the pool, and it is quite easy to find anywhere you want to go. The Signature at the MGM offer junior and one bedroom suites that are owned and operated by different people and management companies. The reviews are good, especially if you want an experience off the strip. 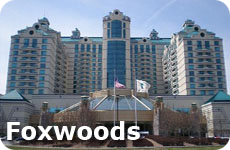 It is a long walk to the main MGM casino and restaurants. The suites have kitchenettes, and the towers have their own pool, fitness center etc. 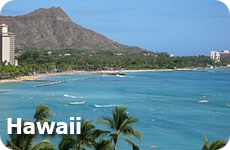 I would recommend this option for a romantic holiday away from the hustle and bustle of Vegas or for families. The Sky Lofts, the former penthouses of the MGM, are an absolutely incredible experience. The 2 story loft starts with a beautiful entry way into a 2 story living area. The entertainment, climate and drapes are all controlled by one easy to use system. Walk up the stairs to your luxurious bathroom and bedroom. Most importantly, however, your Loft comes with Butler, Concierge and transportation service. It sure is nice not having to unpack your own luggage, worry about dinner reservations, or worry about standing in the taxi lines. Here are some more photos and our video of the Skylofts. 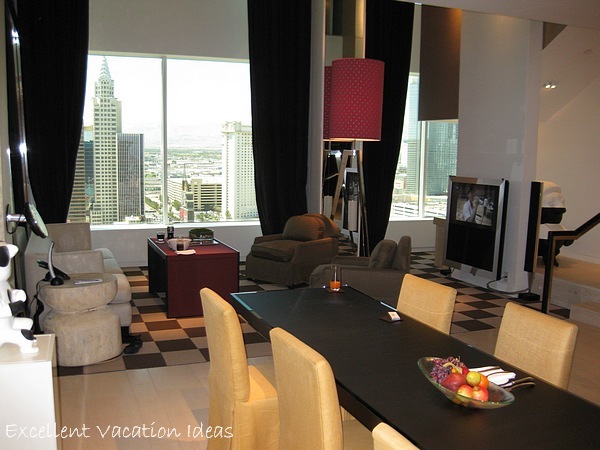 The Terrace Suite, where we stayed on our first visit, is a beautiful suite in the MGM. The location is great, the view and balcony are spectacular. However, the suites are in need of refurbishment. You could see the wear and tear everywhere in the suite. Apparently however, the MGM is about to go through a renovation so we are keeping our fingers crossed that that will include the Terrace suites! The suite has a hot tub outside on the balcony and one of the most spectacular views you can find in Las Vegas. One evening we ordered dessert from room service, and ate it on the balcony and enjoyed the tub in the crisp February air. It was incredibly romantic and is one of my favorite memories of Las Vegas. See our Travel Journal Entry here. See our video here of the Terrace Suite we stayed in.